Convert paper documents to digital documents for fast, easy retrieval and low cost storage. It’s time for you to remove the paper bottlenecks from your business. We all rely on documents to run our businesses – invoices, brochures, marketing materials, etc. – so we need the ability to find those documents quickly when we need them. Capture/Imaging software tools allow you to convert paper documents into digital ones (and also import born-digital documents, eliminating the need to print some documents at all) and then launch automated workflows or simply store documents for later retrieval. What bottlenecks do paper documents create? They can be security or compliance headaches. They take up space in filing cabinets. Research estimates that 11% of paper files are lost or misplaced – do you have the time to recreate documents? And what if that misplaced document contained secure or confidential information? Did that lost document put you at risk of breaking a regulation – such as HIPAA? And many companies already have the equipment to start scanning paper documents – their digital copiers! What Can Datamax Document Capture Do For You? Companies that turn to document capture solutions can expect a rapid return on their investment. AIIM research shows that HALF of the companies adopting these tools see a 100% ROI in less than 12 months. Datamax can work with you to identify your capture needs – how much paper do you need to capture? Do you need additional forms processing capabilities? 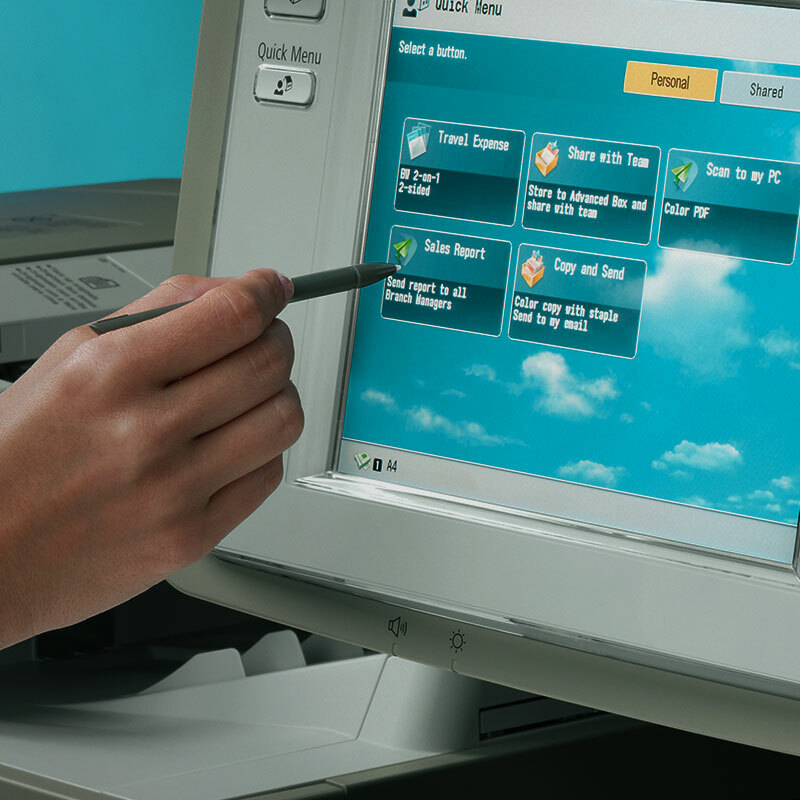 Will you need a stand-alone scanner or will your digital copiers be sufficient? Do you need to print all of your documents or can you “capture” some of your born-digital documents? Which business process can be automated quickly to give you the biggest return on your investment? You’ll also need help getting your employees ready for change – many will be nervous about the new technology and employee resistance is the number one reason for IT implementation failure. Let’s get your business moving faster than paper and remove your paper productivity bottlenecks. Does that idea “capture” your attention? Let’s visit. 11% of paper files are lost or misplaced. Two-thirds of companies adopting paper-free processes report payback within 18 months.